When Gimmy Chu co-founded smart lighting company Nanoleaf back in 2012, he initially conceived of the firm as one focused exclusively on technology development. But he soon realized that he was actually in the business of selling consumer products: Nanoleaf's debut offering was a dodecahedron-shaped LED bulb that was as stylish, as it was energy efficient. The problem? Neither Chu nor fellow University of Toronto engineering graduates Tom Rodinger and Christian Yan knew the first thing about sales and marketing. 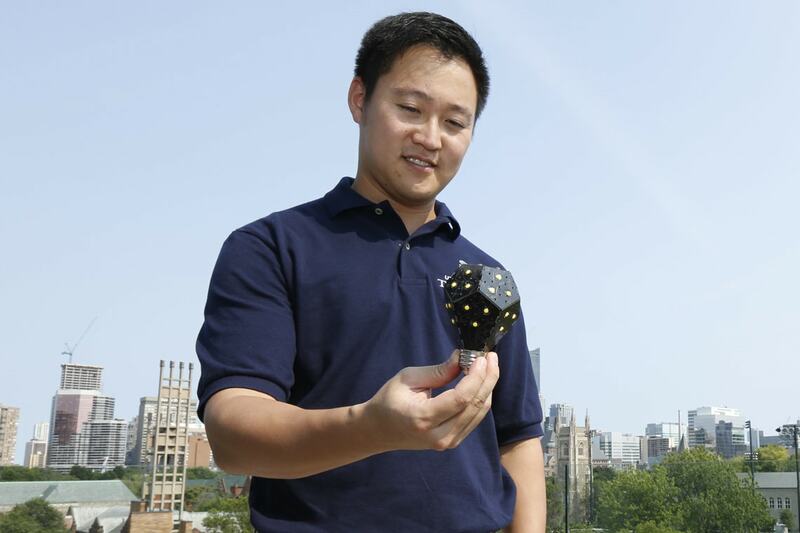 While Chu and his team hit on a winner with their bulb design and “world's most energy-efficient” tagline, other research-types aren't always so savvy straight out of the gate. Some even say this may be holding back startups – particularly among researchers who launch companies based on their work. But would an earlier emphasis on sales and marketing really help Canadian startups scale themselves into giant, market-dominating firms? “This issue of marketing and sales is never talked about in government circles as being one of the causes of our problems in innovation,” says Charles Plant of U of T's Impact Centre accelerator, who recently penned a discussion paper on the subject. In a bid to test his thesis, Plant conducted a cross-border comparison of startups by pairing funding data for 900 Canadian companies with LinkedIn data about their employees. He found that well-funded Canadian startups, on average, spend about 25 per cent less on marketing and sales than ones in the United States. Why might Canadian entrepreneurs be susceptible to this trap? Plant, who recently discussed his findings on Business News Network and wrote about it on Techvibes, says the sheer number of entrepreneurs emerging from Canada's top-notch post-secondary institutions probably plays a role. After all, these are people who are typically experts in their field but don't necessarily have any business training. He also blames Canada's reliance on commodity-type industries – from oil to lumber – for creating a business culture that puts far less emphasis on marketing and sales than is the case in the consumer-oriented U.S. However, not everyone believes Canadian entrepreneurs are necessarily being outshone by their U.S. counterparts. Becky Reuber, a professor of strategic management at U of T's Rotman School of Management, says she's yet to see anything other than anecdotal evidence to support the notion that U.S. startups are more successful than Canadian ones. So what’s the lesson, if any, for Canada's budding entrepreneurs? Plant recommends they start thinking about marketing and sales as early as possible. The knowledge gleaned can then be used to help guide research and product development, helping to ensure the resulting creations find a lucrative market niche, he says. Meanwhile, Chu says accelerator programs like the ones at U of T – there are 10 spread across the university's three Toronto campuses – can play an important role in helping researchers think more like business people. But while Canadian entrepreneurs could probably benefit by borrowing a page from their American counterparts when it comes to self-promotion, Chu warns the “more bold and outspoken” approach has its drawbacks, too. Case in point: high profile flame-outs of startups like Theranos, the Silicon Valley firm that raised hundreds of millions for its blood-testing technology only to be engulfed in a massive scandal about its claims. “You don’t want to be caught selling fluff,” says Chu.